Check back for date and information on the 2019/2020 Winter Warrior Runs! Congratulations to all the 2018/2019 Winter Warriors! We are also had 10 runners run 100 or more miles during the twice weekly WW runs! A big congratulations to Gina and Phil - they were the top Winter Warriors! 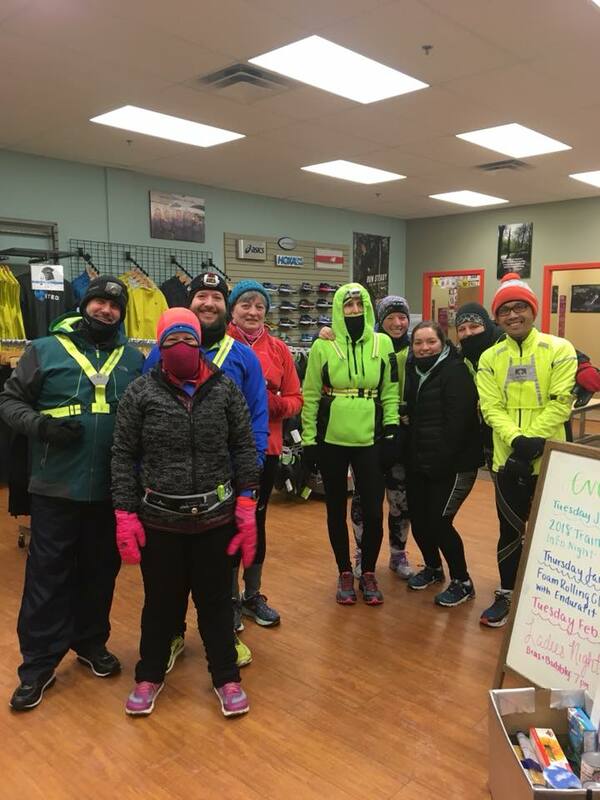 This program is a fun way to meet new people and get your running in during the cold, dark months of winter. It is a point based program that rewards individuals that participate. At the end of the program, the runners with the highest point totals will win a special prize! Monday & Thursdays @ 6 pm - 6 mile out and bak course. You choose your distance! Earn 20 points and receive a Winter Warrior special gift! Run 100 miles during the event and win a special gift! At some runs, vendors will be on site with gear or shoes to try out! Potluck night will be back this year as well! Check out our awesome Winter Warriors from last year!